As one of the most classic love stories is being retold on celluloid, Imtiaz Ali's close friend, Anurag Kashyap hosted the first preview of the film. The creative minds of the industry made their presence felt at this 'directors special preview' and the response from these filmmakers has been overwhelming and stupendously encouraging for our debutants, Avinash Tiwary and Tripti Dimri and director, Sajid Ali. Kashyap too was all praises for the film. 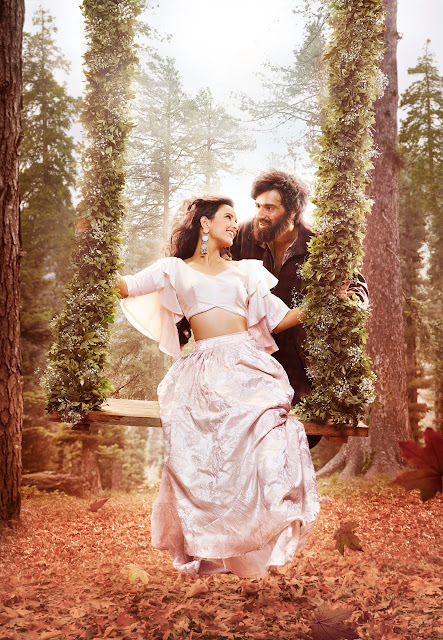 He tweeted, "“Laila Majnu” is such a heartfelt retelling of the love story, so deeply rooted in its mileu. Avinash Tiwary’s Majnu is so good, “another addition to a list of good actors. Great music . Well done Sajid Ali. Yeh Romance kya genetic hai Ali khandan mein?#imtiazali"
With the filmmakers raving about the film and giving it a happy nod, it's the audiences turn to go watch it and give it their love. Laila Majnu is presented by Imtiaz Ali, directed by Sajid Ali and produced by Balaji Motion Pictures and Preety Ali's PI films.